Lord Barrymore was born in 1843. He is one of the most noted of Irish yachtsmen, and Admiral of the Royal Cork Yacht Club. He married a daughter of Earl Dunraven. Educated at Eton and Christ Church, Oxford, he quickly acquired a fondness for the sea. He entered politics, however, sitting as Parlia­mentary member for Cork from 1867 to 1874. 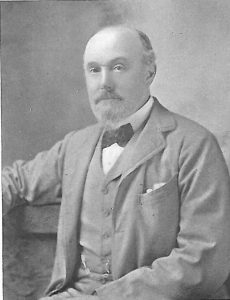 He was Vice-President of the Irish Unionist Alliance, and Vice-President of the Irish Landowner Convention. He is a most popular senior flag officer of the premier Irish Club, as well as a member of the Royal Yacht Squadron. 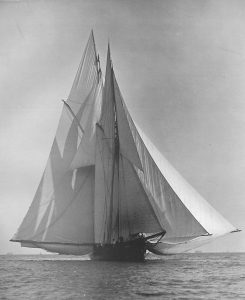 He owns the Waterwitch, 159-ton schooner, designed and built by Messrs. Camper and Nicholson in 1880. Clubs: Royal Yacht Squadron, Royal Cork, Royal Cruising, Royal St. George. Address: 20, Hill Street, Berkeley Square.